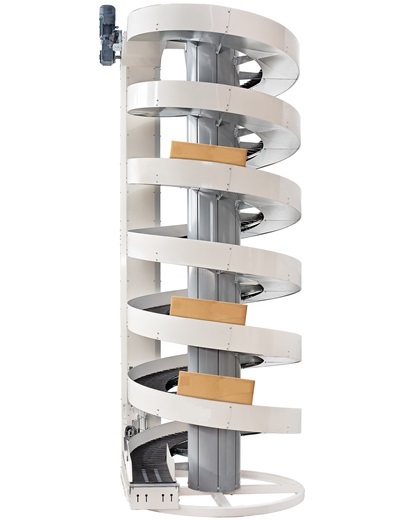 C-Trak provide a range of modern space saving spiral conveyor systems designed with your specification in mind. 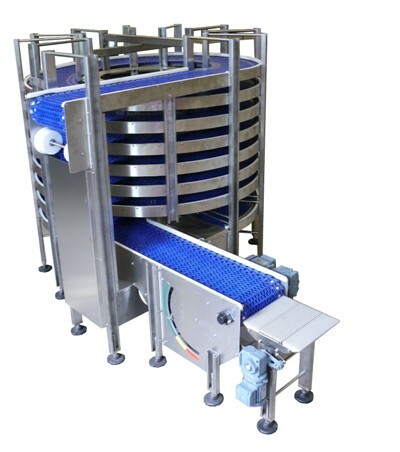 A reliable concept to vertical conveying. The above conveyor is a single lane modular design and available in standard versions which will accommodate a wide range of applications. They are versatile in the fact they can be reversed to go up or down. They also have extended infeed and outfeed options to accommodate your factory layout. Showing a complete systems in action. We can also provide twin lane spirals and narrow width sprials. Please contact us for more information. At C-Trak we believe in quality and high performance of our systems and can deliver a reliable system for many products including bags, bottles, trays, cans, cartons and wrapped and unwrapped products. 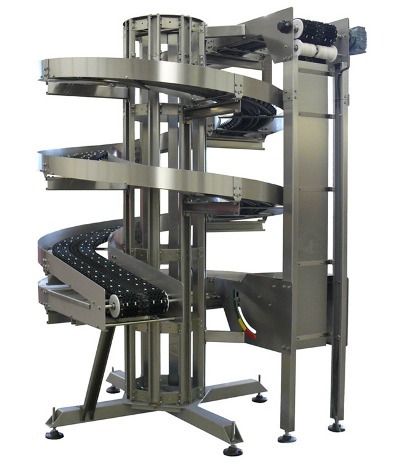 No room for traditional style conveyors why not look at the spiral options elevating your products to upper floors or existing machinery with ease. What ever your products C-Trak has the solution. 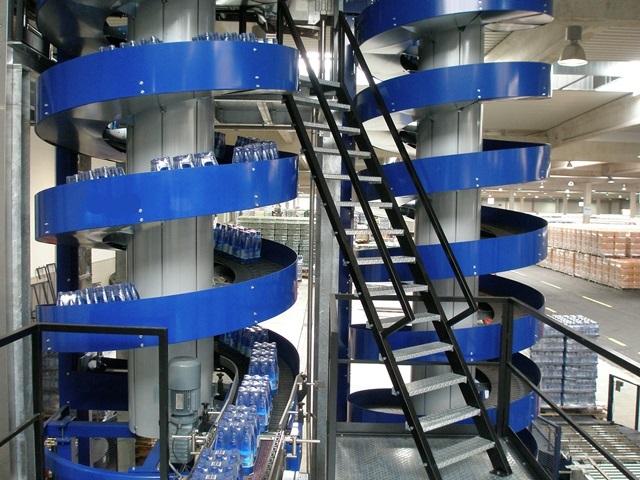 Let us help you with your production line and provide you with a solutions that works. 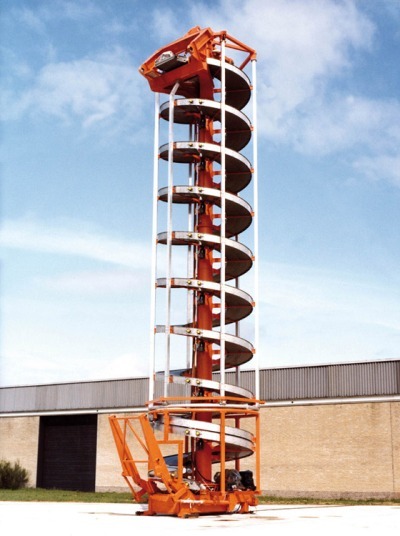 We can supply different types of spiral conveyors depending on your application and products you are handling. The more heavy duty spiral for heavy loads and high speeds it is extremely robust and reliable vertical conveyor for handling a large volume of goods such as cartons, bags & boxes. They require little maintenance and the panel belt has great resistance to chemicals and wear with a positive drive. Another range is the modular design series which gives maximum flexibility easy to fit within your plant and offers strong heavy duty belts which ensure a long lifetime and once again low maintenance.